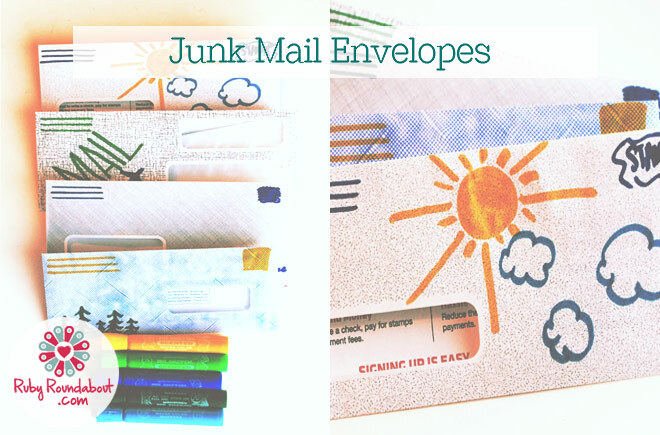 If you get heaps and heaps of junk mail you just end up throwing in the trash, then this is a fun craft for you. 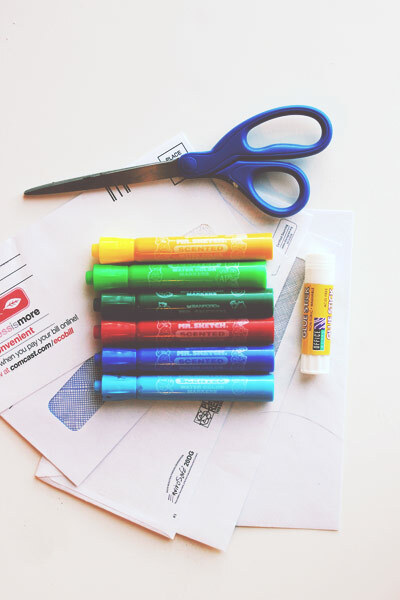 All you need are the extra envelopes that come with your junk mail and just a few other simple crafting supplies to turn those hideous, unused and unwanted envelopes into something fun and useable. Step 1. 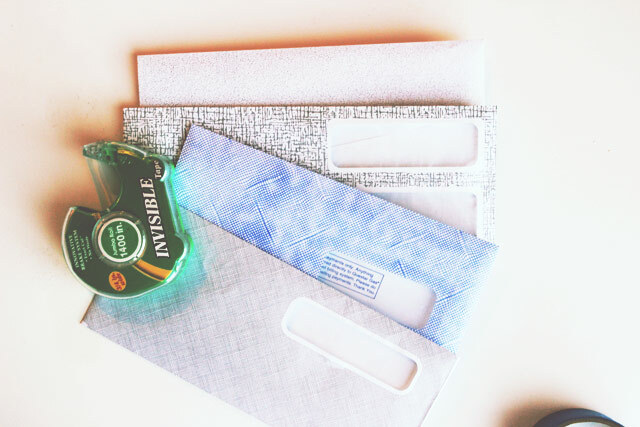 Collect a few of the unused envelopes from your junk mail and carefully start to disassemble them. Using your scissors or the letter opener undo all of the seams, being careful not to tear too much of the paper. The best way is to simply stick your cutting tool into the seam and saw back and forth gently until it starts to come free. If you do tear some though, don’t worry, most of them can be fixed with the tape or glue. Step 2. 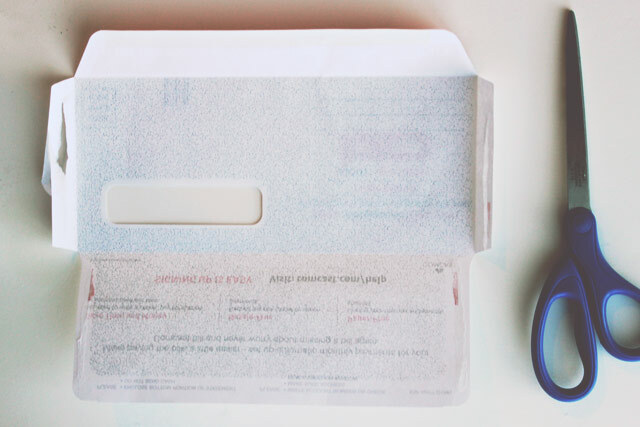 Once all of the seams are separated, you can flip your junk mail envelopes inside out by simply folding all of the creases in the opposite direction. 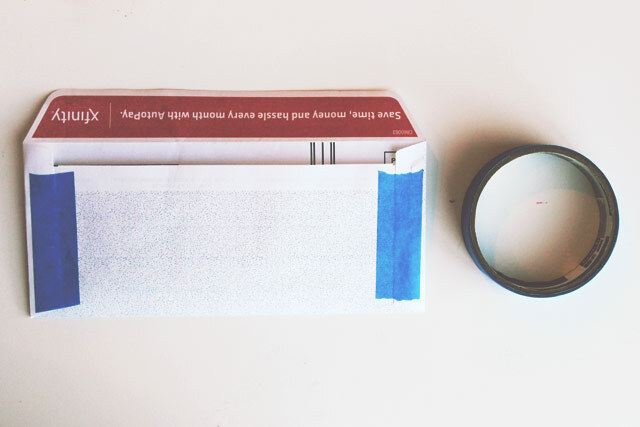 Then, using some small pieces of tape or a glue stick, you can re-assemble the envelopes. In the example you can see how this was done with the blue tape. Step 3. Now for the best part! Using your coloured markers you can give these new envelopes a unique touch by decorating them with your own patterns and designs. Step 4. The finishing touch is to add the lines for the return address in the upper left corner as well as outline the place for the stamp in the upper right. Then, when you are finished you can use these newly patterned envelopes to not only send off some of your own mail, but to keep some of your own special notes in. One really fun way to personalise this craft would be by using washi tape on the edges of your envelopes instead of just boring clear tape. 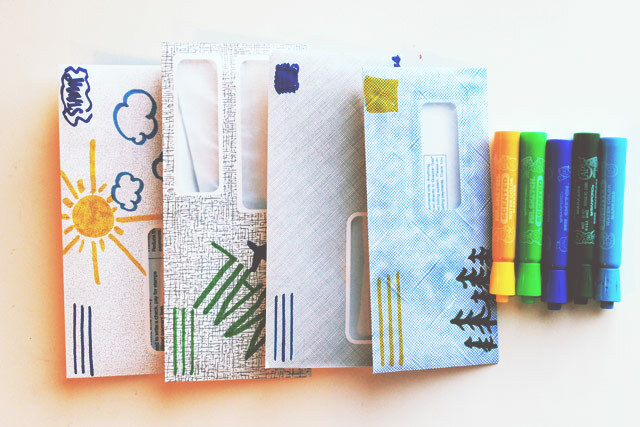 There are so many fun colours and patterns you can find that will make your junk mail envelopes even more unique. 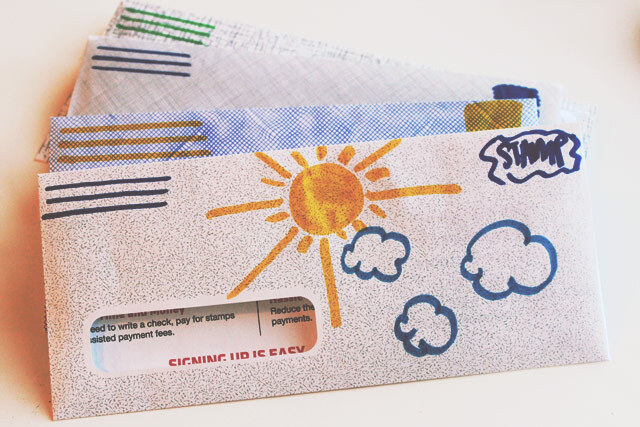 You can also use paint, crayons, or stickers to decorate your envelopes.